Today, another example of what happens when someone meets with something unusual in their daily work. We have all had that happen: we are going along, doing our job in the usual manner. Then, BAM! Something happens that requires a little bit of critical thinking, perhaps even a small amount of problem solving. 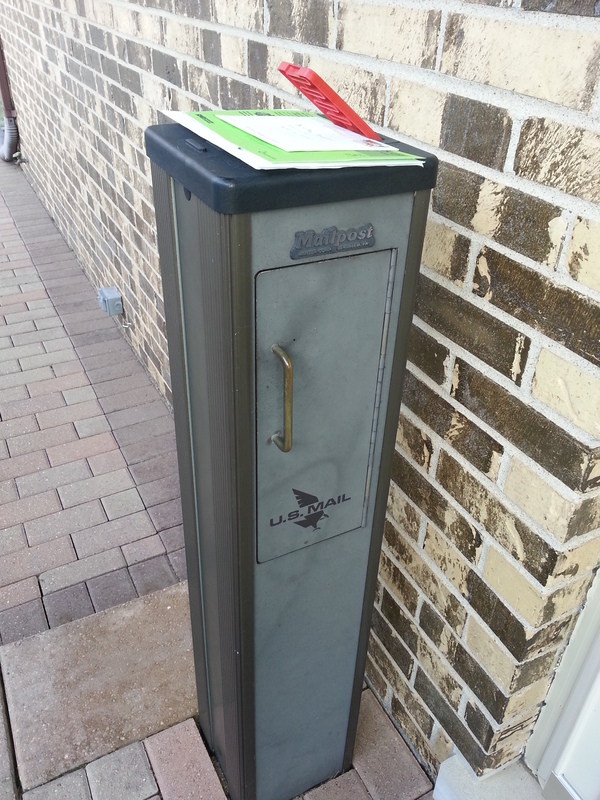 We have had this Mailpost mailbox for almost ten years now. 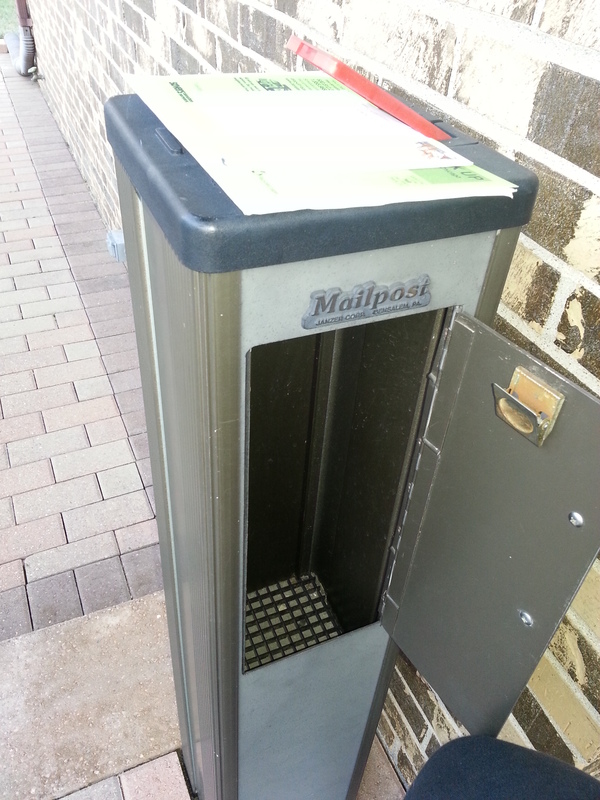 It is clearly labeled with the word “Mailpost.” And, yes, it is a regulation mailbox, all approved by the United States Postal Service. I can always tell when our regular carrier is not on duty because the substitute is often unable to discern that the mail is to go INSIDE the box, via the door that opens. 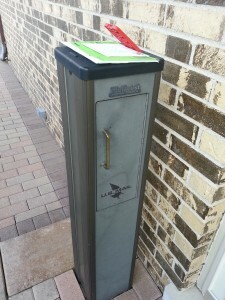 While I have yet to catch a substitute carrier pondering over where to put our mail, I imagine them standing there, looking at the mailpost, not bothering to walk a little closer to see that there is a little door on the side of the box. In the past, I have had carriers put the mail between our storm door and main door (which means he or she actually walked right past the mailpost door). 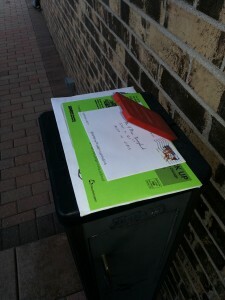 I have had other carriers leave it in the space between the mailpost and our house. At least today’s fill-in did not throw it on the front step, as some of the others have done. He tucked it up under the red flag. Just a little more effort, and he could have just put it INSIDE the box, where it belongs. I suppose I should be thankful the mail was delivered. And thank goodness it did not blow away!